While I take some responsibility (as co-editor) for the late appearance of the fall issue (2.2) of the Journal for the Study of Paul and His Letters (Eisenbrauns), might I dare to suggest – IT WAS WORTH THE WAIT! This issue is unintentionally thematic – all of the articles and essays are focused on Galatians. Well, it started out as happen-stance and we sort of thematized it as we arranged articles. Mike Bird called this a Galaterfest and I think this is one of our best issues yet. All that for a yearly subscription of $30 ($45 for libraries)? While the articles are fantastic, I will also say the reviews (Ciampa on Schreiner, Peter Oakes on de Boer) are very insightful. I am very pleased with how JSPL is growing and thriving. We are just finishing year #2, but Mike Bird and I have a better sense of how we want this journal to contribute to academia and I think next year will be very promising as well. Please do send us your articles for consideration. We are always looking for good contributions that our editorial board can consider. In the first installment, we reviewed the first four chapters of Jonathan Pennington’s book, Reading the Gospels Wisely (Baker, 2012). Now we are on to chapters 5-8. In this interesting chapter, Pennington (hereafter “P”) engages in the current debate over Scripture’s relationship to history and theology. P. sets his discussion up by referring to the debate between Tom Wright and Richard Hays over how to study Jesus in the Gospels.In P’s understanding, Hays criticizes Wright for giving the “upper hand to historical grounding and historical reconstruction as the basis for doing theology, even over against a canonical and ecclesial reading” (P’s words, 75). P. links historical study with wider questions about epistemology and questions the Jesus Questers’ own categories of knowledge (see 81). If P. finds thoroughgoing historicism to be problematic, so also non-historical theologizing. He is a bit more optimistic about a third category he calls “theology through history,” seen especially in the work of G.E. Ladd. P summarizes Ladd’s both-add approach this way: “Ladd rejected Bultmann’s demythologizing solution…and instead argued that the historical-critical method has a place in analyzing ‘ordinary’ history, while faith is required to understand ‘redemptive’ history” (p. 86). Apparently, Ladd called this “biblical realism” (see P, 87). So, what to do with the Gospels? Ultimately, P appeals to the work of Richard Bauckham and supports the language of “testimony” which bridges history and faith. The Gospels are simultaneously making theological and historical claims, not as separate, dual goals but as one exercise, given to us through testimony. Balance is again required. We may so emphasize one of these adjectives at the expense of the other that we cancel out both (104). So, do we need historical criticism? In this chapter, P. digs deeply into critical questions of hermeneutics – how does one find meaning in the Gospels? Here he appeals to three commonly understood worlds: that which is behind the text (historical factors), within the text (especially literary features), and in front of the text (particularly theological reception and interpretation). Now, here’s where it gets interesting. He has a chart on pg 112 (a bit confusing, but he explains it throughout the chapter) which shows that authorial intent in important, but only when one focuses on the worlds behind and in the text. When it comes to the world in front of the text (involving canonical and theological reading), this is where the human author of the text is not an important factor (see 117). This comes into play, for example, when we deal with progessive fulfillment of OT Scripture (let’s say in Matthew). The OT author intended a meaning that was extended in the NT into what P calls (following RT France) a “bonus” meaning (see 118). You will have to see P’s chart to see how rich (and complex) the issue of “meaning” is when it comes to Scripture. He sees there being three “avenues” (historical, literary, theological) for reading Scripture, and all are needed. He compares this to a song sung in three-part harmony, where the three voices together make a beautiful song. I was recently in an SBL meeting where a well-known theologian told us that when he teaches hermeneutics he outlaws the classroom use of the word “means”‘/”meaning” (when it must be used, it is called the “M word”). Why? Because it is such an elastic and confusing word. Well, in this chapter, P. boldly engages in the wider conversations that have been going on about the meaning of…meaning! After a brief discussion of the philosophical study of meaning in the last few centuries, P concludes: “the history of Christian interpretation shows us that authorial intent is valuable but not ultimately determinate or all-constraining” (127). While what P. is saying here is not new or all that controversial (though I disagree with it, see my conclusions below), what he writes next really surprised me. P. devotes a section to talking about that situation when you (an educated seminarian or professor) endure your mother-in-law proof-texting from Scripture: P. calls this “The Mother-In-Law-Jeremiah 29:11 Refrigerator Magnet-Diet Principle. What do you do when your mother-in-law tries to apply God’s promises of blessing on Israel to her recent diet resolution? Now, P. does say there is a place for good instruction – we must teach Christians to develop competent reading habits and to study the texts in context. But we must always keep in mind that the goal of reading Scripture is the development of “a posture and practice of love for God and neighbor,” he urges (p. 142). This chapter is a bit of a break from his discussion. P. offers a chance to summarize and assess. In his assessment, he draws out five implications of what he has argued about the Gospels thus far. I. There is a limited and circumscribed role for historical Jesus studies – P. is not alone in this (e.g., McKnight). The Gospels are testimony and, thus, Christians prize them for what they say about Jesus, not just because they give us a window into the past. 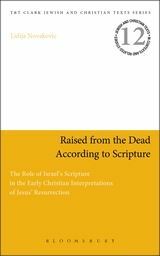 He writes, “At their worst, historical Jesus studies give us only a reconstructed, behind-the-text, theologically and ethically vacuous data set of information about the man Jesus–a far cry from who Jesus is and from the whole purpose of the Gospels” (149). II. We should focus on vertical over horizontal readings of the Gospels. This is, of course, the conviction that each gospel on its own presents a vision or depiction of Jesus that should be understood before trying to put the four Gospels together. III. We should read the Gospels as witnesses. We trust these storytellers as theologians as well as witnesses or historians. IV. We should receive the Gospels as testimony. Similar to the previous point. V. We should read the Gospels according to their purpose-theological and transformational. Another helpful portion of this thick chapter has to do with how we engage with the Gospels. P. supports a two-fold model composed of Revelation and Identification. First, we must ask how God is revealed for us in Christ in the text (p. 159). Thus, our first concern is about Jesus as the center of the story. After that, we can “turn to ways in which the Gospels focus on us as readers, on how they invite us to identify with the characters in the stories, including Jesus” (160). These chapters are exceptionally thought-provoking and this is some of the best material on genre-based hermeneutics you are going to find. My first reaction to this was – Pennington is trying to do a lot – too much! I’ll leave that up to you to decide. I think this book has given me much material for use in my classes. However, it is way too dense for undergrads, and perhaps for many seminary students. My second reaction is that I am quite uncomfortable with his discussion about meaning. You can argue philosophical theories all you want, to me there is no getting around the fact that if we don’t retain the “what it meant” and “what it means” the Bible will become impossible to teach. What do you do in a NT survey course? Even though I fully agree with Pennington that the Scriptures are meant for formation, I cannot collapse application into “meaning.” Part of the problem is definition. What do you mean by “meaning” and “meaning-in-a-text?” Surprisingly, I don’t think Pennington manages to define how he uses the word. Thus, perhaps he means by “meaning” what I mean when I say “significance.” Perhaps not. Another issue is the limit of good or right readings. He says that there is such a thing as a bad reading. OK, but how do we recognize one and who decides? A community? A denomination? A church? An individual? A professor? Does meaning “change” over time based on culture? Is there any kind of “one-meaning stability” in the text? He uses the illustration of the three-part song (meaning behind the text, in the text, in front of the text), and the first two presumably are “stable,” but do all three contribute to “meaning” in the same way or to the same extent or with the same level of importance? I do think he may be on to something with his chart that still retains a place for authorial intent. However, we need to work towards a simpler model than the one he offers. Also, I am hesitant to accept his argument about those that misunderstand and proof-text Scripture, but yet who are “good readers” because their own reading leads to right living. It is one thing if someone is close, but I am not sure Pennington is saying that. Of course, he does think teachers need to continue to teach exegetical accuracy, but he also seems to be content with exegetical naivete if the “posture” is correct. Again, I am just not with Pennington on this, though, again, I like his emphasis on virtue and formation. How far is too far? If they are loving God through Scripture reading, why correct them at all on historical misunderstandings? What about those of you who have read the book – did some of this seem troublesome to you?? Overall, I admire Pennington’s sharpness and ability to synthesize current discussions and create models and analogies that are memorable. I normally get dizzy and tired when I read about philosophical hermeneutics, but Pennington manages to make it digestible and interesting. However, I am not sure what folks will take away from chapter 7 in particular. I think he may have been trying to bite off more than he can chew (or perhaps feeding us more than we can swallow!). Nevertheless, I can see how he is trying to fit this all together in a wider model or framework for engaging with the Gospels. The next part of the review will, of course, cover the remainder of the book. Today I was doing some organizing on my blog and I wanted to point out that I’ve added a new page. Over the past several years I have been posting interviews with prominent scholars who have done significant work on the Gospel of Thomas. Up until now the interviews have been scattered across my blog but now I have created a separate page for them. To this point I have posted interviews with Nicholas Perrin, Stevan Davies, Stephen Patterson, Ismo Dunderberg, Risto Uro, Marvin Meyer, and Simon Gathercole. Soon I hope to conduct an interview with Mark Goodacre on his recent research (though I have now promised him the interview questions two different times and have failed to deliver). If you’re interested in Thomas research, I do hope you’ll check out the new page.